Moving can be a time-consuming and difficult process. Removal companies are here to help with this task. There are many different types of professional movers, with services ranging from packing and transport to cleaning and assembly. Read on to find out more about what removal companies can offer and the savings you can make by knowing what to ask for. 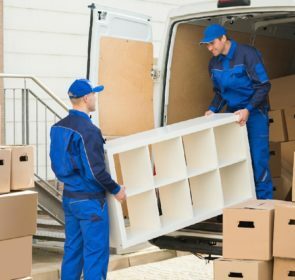 What are the costs of hiring a removal company? The table below shows a general overview of the price ranges for a long-distance move with packing charges. 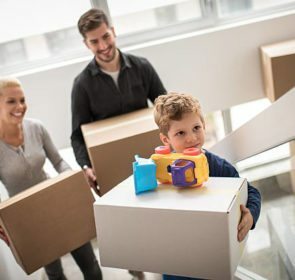 The price depends on several factors that include: the volume of items to be moved, the accessibility of your original and destination house, the distance between these two properties, and the timing of the move. For example, from May to September during the peak moving season, weekends, or the first and last days of the month, demand for removal companies are high, driving up prices. To avoid this, we recommend moving on a weekday. Also, if you request extra services, there are additional costs. To determine the most accurate cost estimation, consider the situation surrounding your move as well as the level of service you would like. The price increases as the number of bedrooms increase, as more time and labor will be required. For a more comprehensive look at professional mover prices, look at our relocation expenses page. Do you want to avoid paying a price that includes unnecessary costs? Compare prices before approaching a removal firms. Fill in the form and receive up to 6 no-obligation quotes by local removal companies. Being able to compare quotes is incredibly useful when trying to find the best company that suits your needs, with savings of up to 40% off the total cost. Aside from loading and transporting your belongings, removal companies offer many other services that cater to your moving needs. These removal services are usually additional costs on top of the movers’ rates. Packing and unpacking are the most common services that removal firms offer. 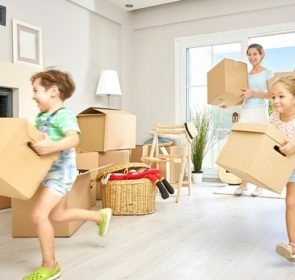 If you do not want to go through the time-consuming activity of packing yourself, the movers may do this on your behalf for a cost. Depending on the company, packing materials such as boxes, wrapping, and tapes may or may not be included in the packing service costs. Movers will handle fragile items such as antiques or belongings of high sentimental value, using specialist equipment or moving methods. Some moving firms offer piano removal services. They use protective covering, dollies, and carrying straps to ensure your instrument arrives to your new home safely and in tune. If certain items are too large to fit through a doorway or carry down a flight of stairs, the movers will move it through a window or use specialist lifting equipment. Flexibility to adapt to your particular moving situation is important to removal companies. For example, if the movers are unable to directly access your front door due to small streets, a shuttle vehicle may be needed to move items between your home and the larger transport vehicle. Also, if your building does not have a lift, additional movers are provided to carry furniture up flights of stairs. Whether you are in need of full house removals, or simply a furniture removal, moving specialists can respond to your requests. Occasionally, you may need to have some items stored if you can’t move into your new home straight away. Removal companies have their own storage facilities or have the means to transport your possessions to a third-party storage company. 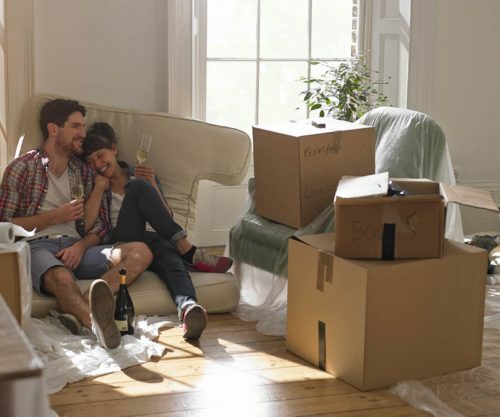 Buying a new home, packing your belongings, and moving into your new home is an extremely stressful time. And why would you want to cause unnecessary strain with your family and friends by asking them to help when there are professional movers to do that job for you? Trying to complete this task on one’s own is tiring and overwhelming, which is why removal companies are here to alleviate your stress and provide peace of mind. While you may consider hiring your own van, if you have many items to transport, this will take multiple trips. Comparatively, professional movers have the vehicles and labor so that your move takes only one trip. With the equipment and experience needed to deal with transporting your prized possessions, removal companies greatly reduce moving times. Naturally, you would like your prized possessions to arrive at your new home in the same condition as they were originally. With removal firms, your belongings are under the care of movers with the expertise and insurance, ensuring they arrive safely. A reputable company will be accountable for your items and so they will pack and transport your belongings in a way that prevents damage. This knowledge also means a much safer move for you and your family, reducing the risk of injuries. Ask for recommendations from friends and family on removal firms based on their experiences. Contacting people who you trust first is a great way to find reputable companies that operate in your area. Look for members of a national or international removals organisation that provides a directory of removal companies that have passed the group’s strict quality standards. Search for online reviews. Read what other people have written about their time working with the removal company. Finally, fill in the quote request form to connect with up to 6 removal companies operating in your area, each offering their best quote!